Filling in course details like supplies, links, the reading list, and files. Cloning (see below) and syncing course content. Importing a Common Cartridge file. At the end of the term, finalizing your course. 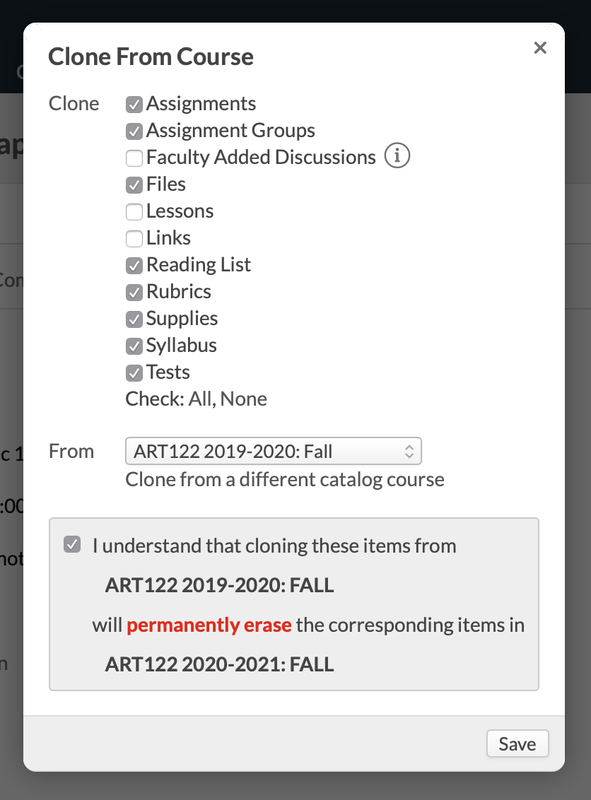 Cloning copies content from past courses into your course. This saves you the slog of having to re-enter the same course content you added this time last year. If you want to just change a few things, you're free to edit any of the items you import using the clone feature. Faculty users can only clone content from courses with the same abbreviation. That is, ENG101 can clone from other instances of ENG101, but not from MATH101. Academic Admin users can clone content from any course into your course. You cannot clone content if the course section is synced. Click Clone from another course. Check the items you wish to clone. Select the specific course instance from which you wish to clone them. You can select different elements from different courses (e.g. clone the assignments from one and the links from another). If you clone the same content from different courses, Populi overwrites the first with the second. For example, if you clone the tests from ENG101 Fall 2012 and then clone the tests from ENG101 Fall 2014, the 2014 tests will over-write those from 2012. Faculty-added discussions will only clone if you also clone the lessons from the same course at the same time. Only graded discussions will be cloned. Check to confirm your choices and Save. If you have course materials in another LMS that you wish to transfer to Populi, the best way to do so is to use the Common Cartridge importer. Export a Common Cartridge file from the other LMS. Please consult that software's documentation for details. Populi accepts files with the extensions .zip and .imcc, so make sure you end up with a file like that! In Populi, go to Course > Info and click Import Common Cartridge. Choose the file you just exported from the other LMS. 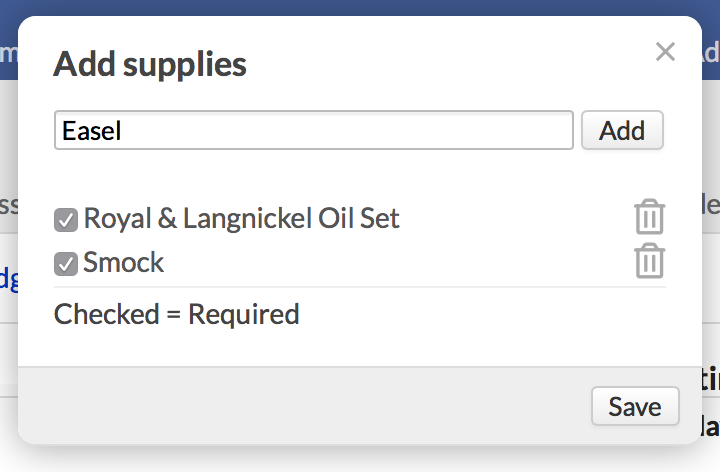 Select the records you'd like to import by checking next to each item. After you've imported the records, have a look at how they look in Populi. You may also want to set up some Populi-specific details—lesson availability, test dates, and so on. If you have trouble getting Populi to read or import the file, try uploading your file to this Common Cartridge validator. It can analyze your file for errors and other problems. Finalizing the course submits student grades to the registrar. Generally speaking, it's the last step you take when running your course—when you finalize, you include your students' course grades in their permanent academic records. You can finalize individual students or the entire course all at once. You can also finalize the course in the Gradebook or on the Final Grade page. Read all about finalizing your course. Most course info is entered by the registrar or comes from the course catalog. You can modify these items here: Description, Sync, Student Access, Progress, and Discussions. Start/End dates confine student activity in the course to the time between those dates. Students cannot interact with course materials before the start date nor after the end date. If you wish to allow student access outside the start/end dates, ask an admin to change the Student Access date within the Start/End dates field. You can modify the description for individual sections of the course. This does not affect the master description in the course catalog. You can also modify the course name for particular students in the course roster. Syncing shares content among different sections of the same course in the same term. Repeat these steps for each course section you wish to sync. Any changes made to the content in one synced section affects all of the other synced sections! Populi syncs all course content—files, supplies, reading list, assignments, lessons, and tests (there's no picking-and-choosing as with cloning). Synced tests only sync the assignment and test name. You will need to import questions into the synced version of those tests. Synced discussions only sync the discussion title and topic. Syncing does not affect rosters, grades, attendance, faculty, or schedules. It only works with sections of the same course (i.e. MATH101 won't sync with MATH102). If you sync courses after grades have been entered, you will lose those grades. If you're gonna sync courses, do so at the beginning of the term, and not the end! The Published setting determines whether or not your students can see course content. This can help prevent over-eager students from, for instance, buying the wrong books ahead of time after looking at a "work-in-progress" reading list. When a course is Published, they have full access to it. When it is not, they'll only be able to see the course name, description, pass/fail status, credits/hours, faculty, and meeting times. Progress determines whether your students can view their in-progress grades. Check or uncheck Visible to Students. When course progress is not visible to students, they will not be able to see their overall course grade until you finalize that student or course. This setting lets you determine whether students can create new discussions. If enabled, students can add new discussions in both the course and individual lessons. You'll retain complete control over their discussions. You can delete them, close them, or even upgrade them to a graded discussion. Can students add discussions? Select Yes or No. Course supplies are items that students might need for the course (paint and brushes for studio art, or a graphing calculator for a physics course...). Click Add to list it. Is the supply required? Check the box. Click to delete the supply from the list. Links open a new browser window to the websites you specify in this panel. Type or copy-paste the URL text, e.g. www.populi.co. Type the display title, e.g. Populi Website. Hover over the link to edit or delete it. The reading list contains all the course's required or recommended books. Enter the book's 10- or 13-digit ISBN or its title and click Search. Populi will look it up (on Amazon.com, unless that's disabled) and retrieve the title, author, cover, and other information. You can also enter the book manually. This option requires you fill in a number of fields yourself. Check if the book is required; otherwise it will list as optional. Click Save to list the book. Click a book's title to Delete it or change its status to optional or required. The files you store here might be anything of general use to the course. You can also add files in several other places in your course, including lessons, individual assignments, tests, discussions, and so on. Check out this tutorial about how to use audio and video files. Search for a file on your computer or drag and drop it into the upload space. Repeat Step 2 as often as you'd like. 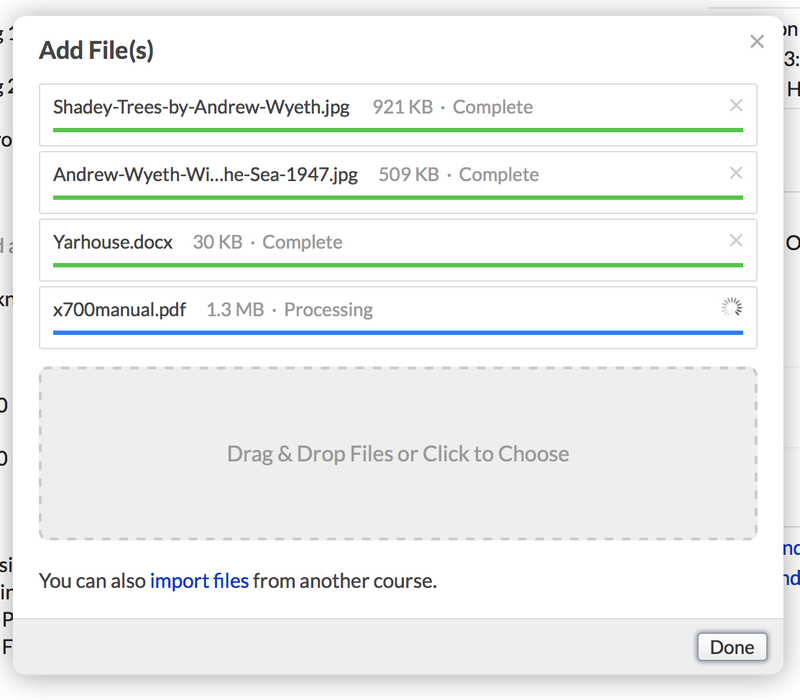 You can also import files from other courses—pretty useful if your course "shares" large files with other courses. Click import files in the add a file dialog. Select the course and term. When you find the course and term you're after, check off all the files you wish to import. Finally, click Import Selected Files. Click the file name to open the file viewer. Depending on the file type, you'll have a few different options. Longer text documents and PDFS, for example, let you jump to a particular page or heading. Grab the embed code so you can embed it elsewhere in your course—a lesson, for example. Manage the visibility of the file. Once I have uploded a file to a course (in this case, a Word document) how do i delete it. Me too! The tutorial doesn't address deleting an unwanted file once installed! How can I change the order of the files that I have uploaded? Ditto. Can't find anywhere that the Edit File box pictured above becomes available. Apologies, everyone. I need to update this article and some of the images in it. Should be done soon! I need to know how to delete files!